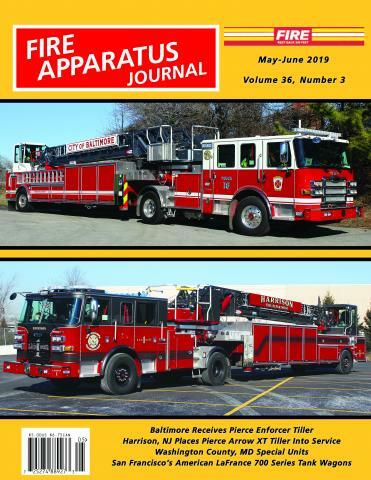 Delivery Problems | Fire Apparatus Journal Inc.
FIRE APPARATUS JOURNAL is published bimonthly. All subscriptions begin with the next issue published. Sorry, we cannot back-start subscriptions. Subscription rates are based on one bulk mailing of each issue. This mailing takes place directly from our printer in Pennsylvania. The mailing occurs during the last week of the month in the month prior to the cover date (example: The January-February issue is mailed during the last week of December). The mailing list is sent to the printer several days before the mailing. Once the mailing list goes to the printer, no changes can be made. Therefore, if you are renewing a current subscription, starting a new subscription, or changing your address, have it to us no later than the second week of the month prior to the cover date or you will miss the deadline for that issue’s mailing list and your order will not be effective until the following issue. Once the mailing list is sent to the printer that issue is treated as a back issue.